Alexander Berkman | Vorwärts und nicht vergessen! Alexander Berkman, the son of a Jewish businessman, was born in Vilnius, the capital of Lithuania, on 21st November, 1870. At the time the territory was part of the Russian Empire. His father, a wholesaler in the shoe industry, was prosperous enough to be allowed to move to St. Petersburg. Berkman grew up in comfortable surroundings, that including servants and a summer house. He attended a gymnasium reserved for the privileged elements of society. 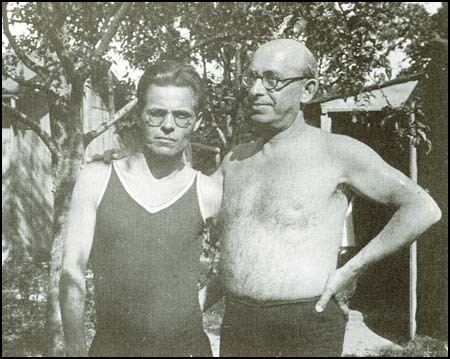 Berkman also became aware of the racism in Russia for when his father died, the family was deprived of the right to live in the capital and were forced to live in Kovno, a town in the Jewish Pale of Settlement. In 1887 his mother died and the following year he decided to move to the United States. On his arrival in New York City Berkman joined the principal Jewish anarchist group, Pioneers of Liberty. Soon afterwards he began living with Emma Goldman, a Russian immigrant who was working in a clothing factory in Rochester. Berkman and Goldman both became involved in the campaign to free the men convicted of the Haymarket Bombing. They were also influenced by the anarchist writings of Johann Most. In 1892 Berkman and Goldman started a small business in Worcester, Massachusetts, providing lunches for local workers. Later that year Amalgamated Iron and Steel Workers Union called out its members at the Steel Homestead plant owned by Henry Frick and Andrew Carnegie. Frick took the controversial decision to employ 300 strikebreakers from the Pinkerton Detective Agency. The men were brought in on armed barges down the Monongahela River. The strikers were waiting for them and a day long battle took place. Ten men were killed and 60 wounded before the governor obtained order by placing Homestead under martial law. Berkman was appalled by Frick’s behaviour and decided to make a dramatic gesture against capitalism. After gaining entry into his office, Berkman shot Henry Frick three times and stabbed him twice. However, Frick survived the attack and made a full-recovery. Found guilty of attempted murder, Berkman was sent to Western Penitentiary of Pennsylvania in Allegheny City. 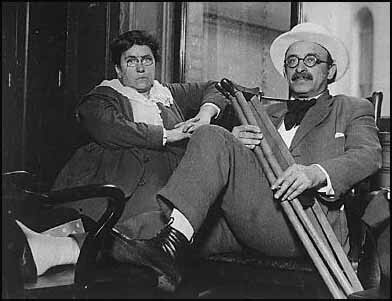 After the death of Johann Most, Berkman and Emma Goldman became the leaders of the anarchist movement in the United States. They published the radical journal, Mother Earth and books such as Goldman’s Anarchism and Other Essays (1910) and Berkman’s Prison Memoirs of an Anarchist (1912). They also helped organize the Ferrer School in New York City and industrial disputes such as the Lawrence Textile Strike. On the outbreak of the First World War both Berkman and Emma Goldman became involved in the campaign to keep the United States out of the conflict. They also organized anti-militarist rallies in New York City and went on several lecture tours in an attempt to „arouse public opinion against the growing war hysteria“. Berkman moved to San Francisco and in January, 1916, started a new anarchist journal, Blast. When five months later a bomb went off killing six people in the city. The authorities suspected that the bomb had been planted by anti-war campaigners and Berkman was arrested but later released. Thomas Mooney, a local trade union leader was falsely convicted of the offence but spent the next twenty-three years in prison before being released. After the USA declared war on the Central Powers in 1917, it was claimed that Berkman had violated the Espionage Act. Under this act it was an offence to publish material that undermined the war effort. Berkman was arrested, tried and sentenced to two years in Atlanta Federal Prison, seven months of which he spent in solitary confinement for protesting against officers beating fellow prisoners. In 1919 Woodrow Wilson appointed A. Mitchell Palmer as his attorney general. Soon after taking office, a government list of 62 people believed to hold „dangerous, destructive and anarchistic sentiments“ was leaked to the press. It was also revealed that these people had been under government surveillance for many years. Worried by the revolution that had taken place in Russia, Palmer became convinced that Communist agents were planning to overthrow the American government. Palmer recruited John Edgar Hoover as his special assistant and together they used the Espionage Act (1917) and the Sedition Act (1918) to launch a campaign against radicals and left-wing organizations. A. Mitchell Palmer claimed that Communist agents from Russia were planning to overthrow the American government. On 7th November, 1919, the second anniversary of the Russian Revolution, over 10,000 suspected communists and anarchists were arrested. Palmer and Hoover found no evidence of a proposed revolution but large number of these suspects were held without trial for a long time. The vast majority were eventually released but Berkman, Emma Goldman, Mollie Steimer, and 245 other people, were deported to Russia. A pact with the anarchists for joint military action against General Anton Denikin and his White Army was signed in March 1919. However, the Bolsheviks did not trust the anarchists and two months later two Cheka agents sent to assassinate Nestor Makhno were caught and executed. Leon Trotsky, commander-in-chief of the Bolsheviks forces, ordered the arrest of Makhno and sent in troops to Hulyai-Pole dissolve the agricultural communes set up by the Makhnovists. With Makhno’s power undermined, a few days later, Denikin forces arrived and completed the job, liquidating the local soviets as well. In September, 1919, the Red Army was able to force Denikin’s army to retreat to the shores of the Black Sea. Berkman also edited the book on political persecution under the Bolsheviks, Letters from Russian Prisons (1925). Later that year he moved to Paris and joined several anarchists living in exile. This included Peter Arshinov, Vsevolod Volin, Emma Goldman, Nestor Makhno, Sébastien Faure and Rudolf Rocker. In 1926 Nestor Makhno joined forces broke with Peter Arshinov to publish their controversial Organizational Platform, which called for a General Union of Anarchists. This was opposed by Berkman, Vsevolod Volin, Emma Goldman, Sébastien Faure and Rudolf Rocker, who argued that the idea of a central committee clashed with the basic anarchist principle of local organisation. Berkman suffered from poor health and underwent two unsuccessful operations for a prostate condition. 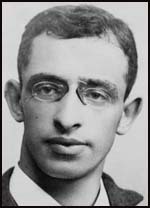 In constant pain and having to rely on the financial help of friends, Alexander Berkman committed suicide on 28th June, 1936. This was just three weeks before the outbreak of the Spanish Civil War, which, as Emma Goldman suggests, might have given him some hope for the future.